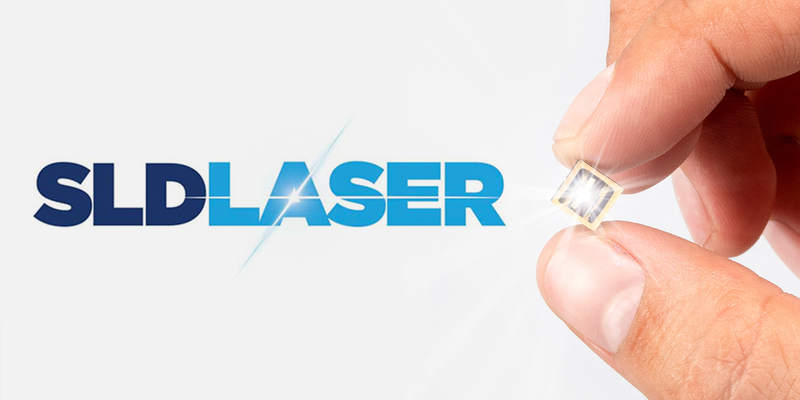 SLD Laser (formerly SoraaLaser), a world leader in commercialization of visible laser light sources, will demonstrate its innovative LaserLightTM source technology for automotive applications at the Consumer Electronics Show in Las Vegas, Nevada on January 9 – 12, 2018. LaserLight illumination sources deliver more than 10 times the luminance of LEDs, ushering in a brilliant new era in automotive lighting performance, safety, and styling. LaserLight sources provide safe, extended range illumination for high beam applications and precise beam control for glare reduction, while enabling sleek compact headlamp designs with unique form factors for advanced styling.